i have the worst case of tennis elbow that i’ve ever seen. as in, it’s the worst tennis elbow i’ve ever had. that’s a little misleading. 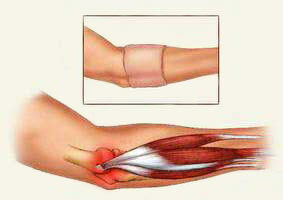 i’ve seen other cases of tennis elbow that weren’t my own. as in, i know one person that has (had?) tennis elbow. except he called it jedi elbow because it got aggravated when we were playing this sweet star wars game where you’re a jedi and you have lightsaber battles with all your friends and enemies, like general grievous. his tennis elbow might be worse than mine. but i doubt it, even if jedi elbow sounds cooler than tennis elbow. here’s how bad mine is: i can’t shake hands with people without passing out; i can’t carry my cup of hot chocolate without getting cramps; i can’t get my keys out of my pocket without having an aneurysm (i get scared that i won’t be able to unlock my house and have a functioning brain and that i’ll have to choose between thinking and being locked outside to freeze. maybe before i die of frostbite, the cold rain will be like an ice pack for my elbow and then i’ll be able to get my keys right in time.) i thought that it (the tennis elbow, not the aneurysm) would go away if i just stayed away from tennis for like 2 weeks or something. so i tried it, but it got worse. some people suggested that it’s because i didn’t stop playing other racket sports like ping pong (actually a paddle), pickleball (also a paddle, but racket-size), badminton, racket-ball, and tennis. the other thing that the internet said i should do besides avoid tennis (and lightsabers) is to put ice on my elbow every day. but that requires more work than, say, trying to learn how to play tennis left-handed. so i chose the second option instead. except i actually decided to play badminton left-handed and not tennis. it was working fine until i re-injured this old roller-blading injury that i sustained at the age of 14. i jumped off a curb, fell down and threw (that’s a strange word choice) my shoulder out. it kept me from being the first chair french horn player for over a month. it was a hard road back to first chair, but that was back when i had determination. i trained and exercised until i could play french horn again. if it happened now, i’d probably just try to play french horn right-handed. anyways, when i was playing badminton i threw my left shoulder out. so now i think i really have to quit tennis since both of my arms don’t work. and probably other sports, too. 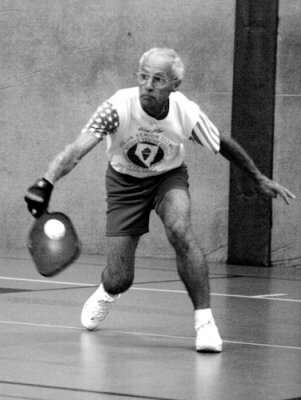 but here’s the thing: pickleball is like the coolest sport i’ve ever played. i’ve only played once and it was totally worth the elbow aggravation. i sort of want to keep playing it even though it’ll be bad for my elbow. but on the other hand, if i don’t fix my tennis elbow, how will i get get good at the nintendo wii? 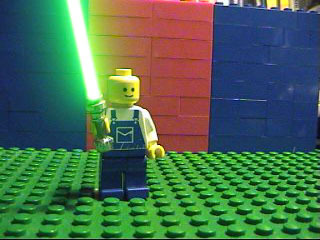 i heard they’re creating this star wars game where you’re a jedi. so if i don’t give up tennis, i won’t be able to hone my natural jedi instincts and become the greatest jedi of this generation. maybe if my midi-chlorian count was higher, my tennis elbow would just cure itself. like as high as master yoda, or higher. coincidentally, the regular world tennis season finished around the same time that i sustained my tennis-season-ending injury (and re-injury). the real tennis year was pretty sweet. and i really mean it. i mean, my favorite player, rafael nadal, lost to roger federer twice in a week and i still thought it was great. so i’d like to just come out and say that, even though he beat my favorite, federer deserves it because he played incredible this year. i really have to hand (which one? they’re both broken) it to him, he dominated virtually everyone (except for nadal a couple of times) and broke the record for money won in a season. 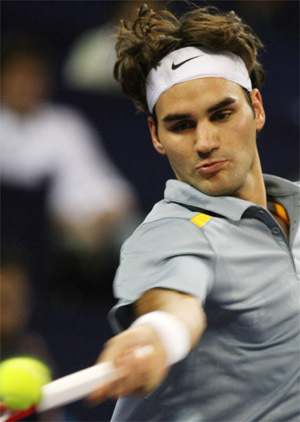 he made it to 16 finals in tournaments, winning 12 of them. he hit unbelievable shots against everybody. just this last week during the masters cup, he beat james blake in straight sets. during the match he returned a number of shots that i thought were pretty unreturnable. but he didn’t just get them back over; he return winner’ed them. and he was doing it all year. you might be like, “big deal — james blake?” but then i’d remind you that he had neck surgery in 2004 and now he’s ranked #4 in the world. he beat the #3, the old #4, and the defending champion to make it to the finals in the masters cup. pretty good, i’d say. plus his beard almost looks awesome. i think he should grow it out a little more, personally, but it’s up to him i guess. what’s more serious, do you think, between a neck injury and a shoulder injury? i’m guessing shoulder. also, it was good to see andy roddick get back into the top ten. like #6 or something, i think. but still, he had a rough year. after he and mandy moore broke up, his tennis game went totally downhill, but now that he’s either over her or they’re secretly back together, he’s finally playing great tennis again. everyone is saying that it’s jimmy connors. but connors isn’t even his coach. he’s just some guy that roddick talks to about tennis. it has to be the mandy moore thing. anyways, i’m excited to see him doing (and looking) so good. the other thing great about tennis this year was that j ohn mcenroe announced his return to the a(ssocation of)t(ennis)p(rofessionals). he teamed up with jonas bjorkman and won a doubles tournament that was held in san jose in february. then he and bjorkman played in another one in sweden in october. they didn’t win, but they made it to the quarterfinals. i like that he’s winning some matches and announcing others. take that, jerome bettis. he makes tennis commentating listenable. plus, he’s like morten andersen to the 10th. 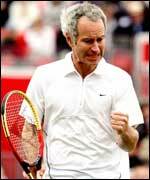 next year mcenroe will probably beat federer. then jimmy connors will really be crying his eyes out. but rafael nadal… he’s my favorite. even if he keeps losing to federer. i like when he wears his spain wristbands. i wonder if they sell them on ebay. more importantly, i wonder if they make spain colored tennis elbow braces. 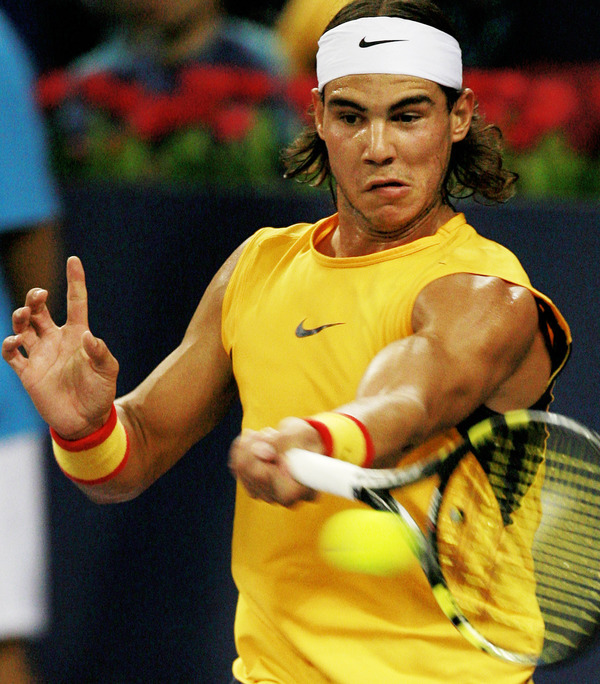 then people will think that i’m trying to be nadal and they won’t suspect that i have tennis elbow. my elbow feels like some kind of squishy sack. Does anybody know what it could possibly be? What can I do to treat it?